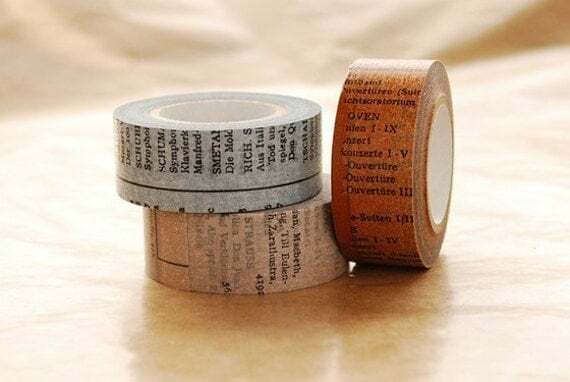 I could honestly keep going with all the shops that I've found but also with all the great designs out there that I could actually use on some of my projects as they fit in so well with the supplies that I have. Maybe one day I'll actually get them but not right now. Have you come across anything thats so you lately? 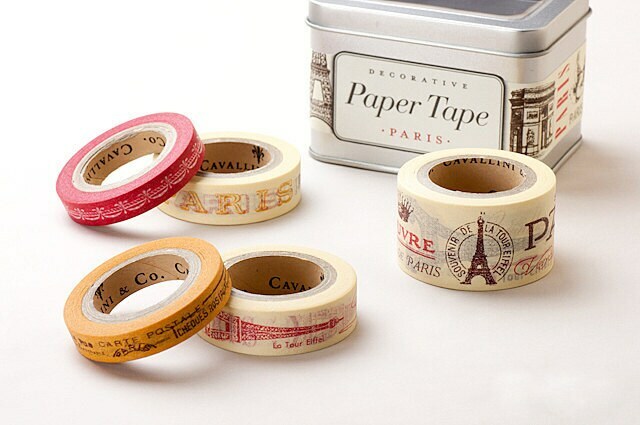 I have some washi tape but hardly want to use it because its so expensive to buy that every piece is just that more special. Still when looking at all the great designs there, I want them all as I know I'll be able to use them in some way. I'm glad I can be of some help there as I took can't stop looking at everything and wishing it was mine. he he he, thats ok with me, its actually nicer for you as what I send you in £s will almost double in aus$. I agree with you, its like they don't want us to use it or buy more. Yes, I have quite some rolls now and I am soo happy with it!! Luckily we can buy them in the shops here too!! We can't buy them here just yet but I'm sure there will come a time when we will be able to and I can't wait. 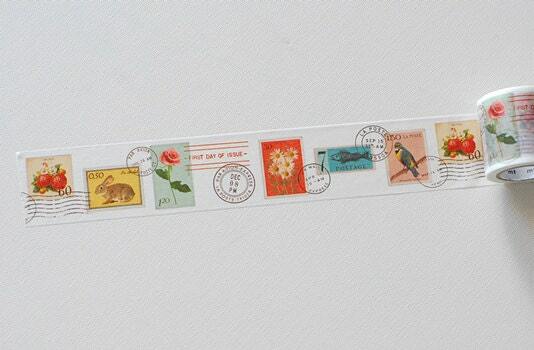 It will still be expensive but I just think of it as paying postage. Its nice to be able to see the product first. 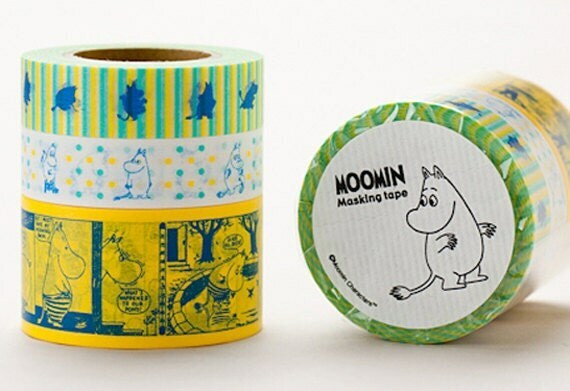 I am totally addicted to wash tape too and thanks to this post have now added even more to my wish list :D I especially love that moomin one (I have been looking for some with moomins on so thanks for the link) and I love that top one with the bunnies and the post marks - so cute! She has a couple more moomin ones so its definately worth taking a look and maybe even buying. 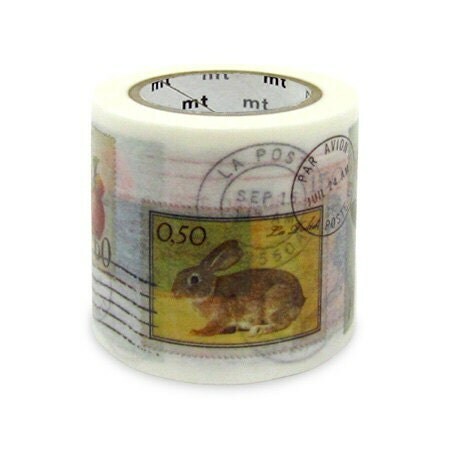 The bunny one is indeed really nice but also quite big for my liking. 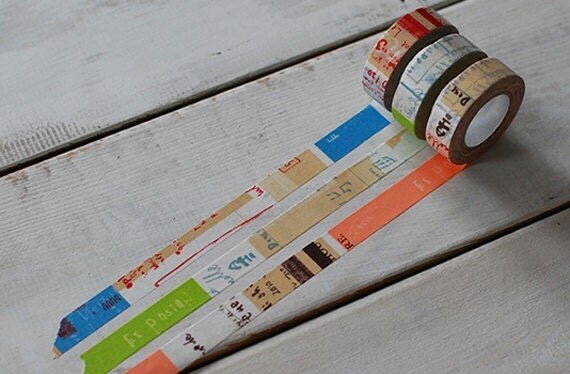 Oh I must, I NEED to get my hands on some of this tape...I LOVE IT! There are so many things that I see and fall in love with in a second, but, sadly, my arms are short and my pockets deep right now, so they will have to wait until funds are restored. I want to rob a bank, too! Haha :p.